Samsung has slashed prices of five Galaxy J smartphones in India, according to the offline retailer Mahesh Telecom. Samsung, which is known for launching overpriced smartphones in the country has been slashing prices of its smartphones in recent times. Firstly, the South Korean company reduced the prices of last year’s flagship smartphones by a huge margin and now, it reduced the prices of five Galaxy J smartphones by up to Rs 1,000. 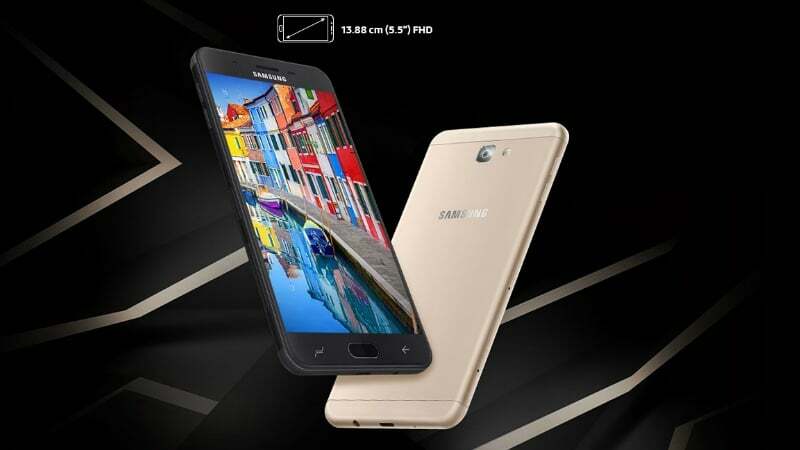 The smartphones which received price cut are the Samsung Galaxy J7 Duo, Samsung Galaxy J7 Prime 2, Galaxy J7 Nxt 32GB variant, Galaxy J2 (2018) and the Galaxy J2 (2017). The price cut seems to be effective in the offline market already, while e-commerce portals are still showing the old prices. The Samsung Galaxy J7 Duo which is currently available at Rs 15,990 will be available for Rs 14,990 going forward. The Galaxy J7 Prime 2 which was launched recently at a price of Rs 13,990 will retail for Rs 12,990 in the future. The 32GB storage variant of the Galaxy J7 Nxt is down to Rs 10,990 from the earlier price tag of Rs 11,990. So the three smartphones received a price cut of Rs 1,000. Next on the price cut list, we have the newly launched Samsung Galaxy J2 (2018). Samsung launched the smartphone at Rs 8,190, but the device is now down to Rs 7,690. And lastly, the 2017 edition of Galaxy J2 dubbed as Galaxy J2 (2017) also received a price cut of Rs 400 and will retail for Rs 6,190. Still, the devices are overpriced when compared to the competition. The Galaxy J2 (2018) offers decent specifications, but the price of Rs 7,690 is on the steeper side as the Redmi 5A and Tenor D offers much better specifications at nearly half price. The Galaxy J7 Duo is a competitor to the Xiaomi Redmi Note 5 Pro, but it offers pretty mediocre specs when compared to the Note 5 Pro’s latest specifications. This new move from Samsung could also be attributed to the new Galaxy J smartphones launch in India. Hahahahahahahahahahahaha……. I will buy Redmi Note 4/Tenor G instead of this ! Redmi Note 4 for lot of custom rom support!!!!! Tenor G for value for money purpose!!!!! Who buys these handsets only God knows!!!!! there are brand uncles who prefer brand and budget. they will buy for sure. Lol let him upgrade from Note 4 to Note 5!!!!! Even after installing various custom roms, problems continue to exist!!!!! They need to look forward to do more R and D in mid level chips in order to sustain in Indian Market!!!!! Mid level A/C series should use chipsets like 660/710!!!!! There was no C series last year in India!!!!! There was no A8(2016) launched in India!!!!! Samsung counting on their flagship to run the business which is mistake they are going to repent soon!!!!! Huawei taking good steps in right direction to give threat to Samsung!!!!!! Tons of people who aren’t obsessed with specs and just want a phone for Whatsapp, YouTube, Facebook and calling. Yes but there is something called as Value for money!!!! !The same thing cannot be there while purchasing these mediocre devices!!!! !Even in 2018 they will provide HD panel with old 16:9 aspect ration for 20000,is it acceptable????? Rise of Xiaomi is equal to downfall of Samsung(in Budget/Midrange caregory)!!!! !I mean why there is even A and C series to be honest!!!! !Neither here not there kind of devices they produce in these segments!!!! !When they want to use exyonys 7870 so much why not Snapdragon 625/630? I SERIOUSLY Don’t understand!!!!! It’s because of Samsung’s naming scheme. E.g. in original A series the A9 pro has SD652. Until a successor is released the newer 2017 and 2018 A5/A6/A8 couldn’t be made better than A9 pro. Now A9 Star is released so next A5/A6/A7 will have much better specs. Same story with J series. Samsung seriously messed up but they had a nightmare imagining the scenario where a customer would ask why an A8+ 2018 has better CPU than A9 Pro….so they didn’t make it better, only equivalent. But why same processor over last three years!!!!! Exyonys 7870 in every J and On series phone!!!!!! Why not Snapdragon 625/630/430/435/450 in any of the J series phones? Higher numerical value is better. So if C7 Pro has SD626, J7 will always have something slightly worse. Samsung ofcourse wants to advertise exynos so A7 runs Exynos 7880 and A8 runs 7885. Till A7 has no successor the J7 will remain stuck on bad chipsets. I hope u understand what I am saying. Entire A line-up and J line-up can get upgraded in 2019 since A9 Star is now official. Next year they should push Galaxy C10 or some such. Those who are wary of the cheap components of the Chinese brands, which inevitably develop problems in few months. Samsung phones even in lower range offer long lasting quality products. Samsung products especially J and A series products hangs after six months!!!!! This is my experience since first J7(2015)!!!! !This hasn’t been changed over the period of time!!!! !Either you have to sell it for lesser price on Olx other wise you will have to flash custom roms which improves user experience a bit!!!!! I don’t know about those phones but i have Samsung on 7 pro which heats up and drains battery more than redmi 5a both of them has almost similar specifications. But yes overall quality of branded phones are a bit better but those phones are overpriced.